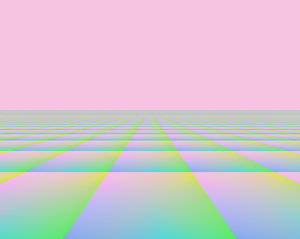 A fantasy background with a horizon stretching off into an infinite distance. Bright, vivid pastels colours. Useful for children's illustrations, advertisements, covers, etc. Lots of copyspace.